What Is the Average Lifespan of an AC Unit? 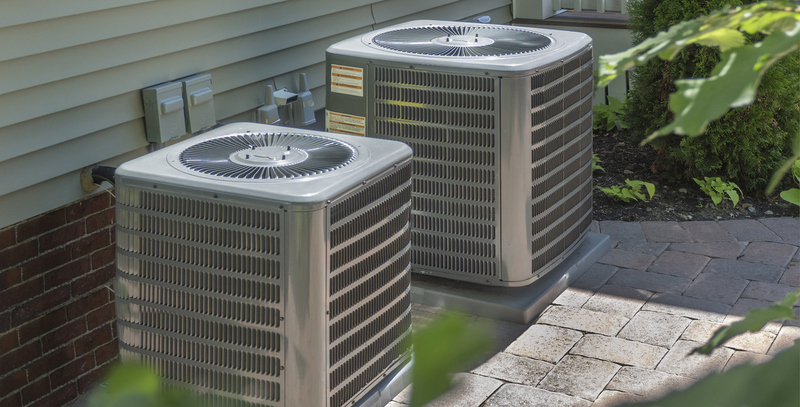 When it comes to air conditioning systems, one of the most common questions we get from homeowners is how long they can expect their new system to last. It’s not surprising this is on most homeowner’s minds. After all, your air conditioning system is one of the biggest investments you’ll make for your home. The answer, however, isn’t black and white. The average lifespan of a central air conditioning system is 15 to 20 years. But at the end of the day, there are lots of factors that influence how long your air conditioning system will last. Fortunately, there are small steps you can take starting today to get the most of your AC and ensure it works efficiently for years to come. Without regular maintenance, the lifespan of your air conditioning system can be seriously shortened. In fact, performing zero to little maintenance (think changing the air filter and scheduling routine tune-ups) can cut your appliances lifespan in half. For homeowners who put the effort in to maintain their systems, they’re rewarded greatly. Some air conditioning systems that are maintained very well can last 25 or so years. That’s right—a quarter of a century! But how do you maintain your air conditioning system to the best of your ability? These simple steps will help you get started. If there is one simple thing you can do today to improve the function and increase the lifespan of your air conditioning system, it’s change the air filter. Although it’s just a small component of your system, the air filter has an important job to do. It works tirelessly to trap debris from within your system before it makes its way through the air vents and into your home. But as the air filters catches debris, it will become bogged down and need to be replaced. Not replacing the air filter on a regular basis put unnecessary strain on your air conditioning system. For good measure, replace your air filter each month or two, or get into the habit of checking how dirty it is. Few of us spend all of our lives at home, which means it’s not practical for your air conditioning system to be running at all time. Rather than leave your AC on constantly or having to shut it on and off whenever you leave, invest in a programmable thermostat. It’s the easiest way to avoid excess wear and tear on your system without sacrificing your home’s comfort. Win-win. It can be easy to forget about your air conditioning system’s condenser unit, but the outdoor component is important. Unlike the other components, it is subjected to significantly more wear and tear since it’s outside. You can keep it functioning efficiently for years to come by trimming overgrown grass near the unit and ensuring it’s clear of excess debris. The best way to ensure your air conditioning system will function efficiently for years to come is by scheduling professional tune-ups each year. During a tune-up, an HVAC professional will perform a thorough inspection of your system and perform any necessary repairs. It’s the best way to keep your system in top shape. Better yet, routine maintenance can lower your energy bills and increase your home’s overall comfort. At A+ Air Conditioning, we understand your air conditioning system is one of the biggest investments you’ll ever make for your home. That’s why we offer all of our customers access to our Comfort Club Maintenance Program. This exclusive program helps you relaxing knowing you’re effortlessly increasing the lifespan of your air conditioning system. You can learn more about the Comfort Club Maintenance Program today by giving us a call or contacting us online.